When you think about Crystal Cove, the word love will always come up. Love for the cottages, love for the whales and dolphins, love for the incredible sunsets, love for the peace and tranquility, and most importantly, love for the one you get to share it with. It’s no secret that Crystal Cove is the place for lovers. From first dates, proposals, weddings, and getaways, the Cove has always been a romantic paradise. 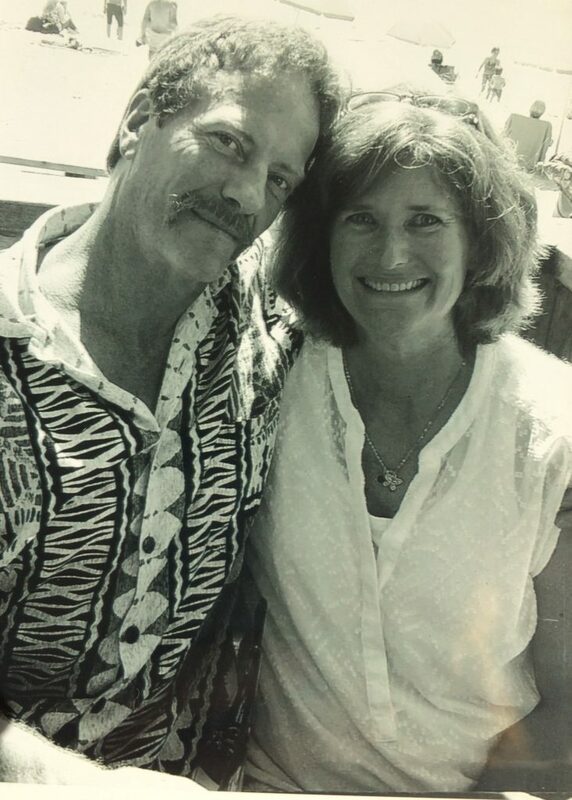 Today is Valentine’s Day, and we want to share some of our Crystal Cove love stories with you. I was on my second date with a man I met on Match.com. Turns out we lived only a couple blocks from each other and had been standing beside one another in yoga class for months. After dinner he invited me to walk with him at the beach. It was a beautiful, moonlit autumn night. I didn’t know him very well yet so I questioned if it was safe to walk with him at the beach at night. He replied, “I’m a teacher, I’m finger printed.” Somehow I felt safe so we walked down to Crystal Cove. With the gentle sounds of the waves lapping and crunching sand beneath our feet, it was magical! He jokingly pretended to propose to me because the setting was so perfect. I laughed at him. 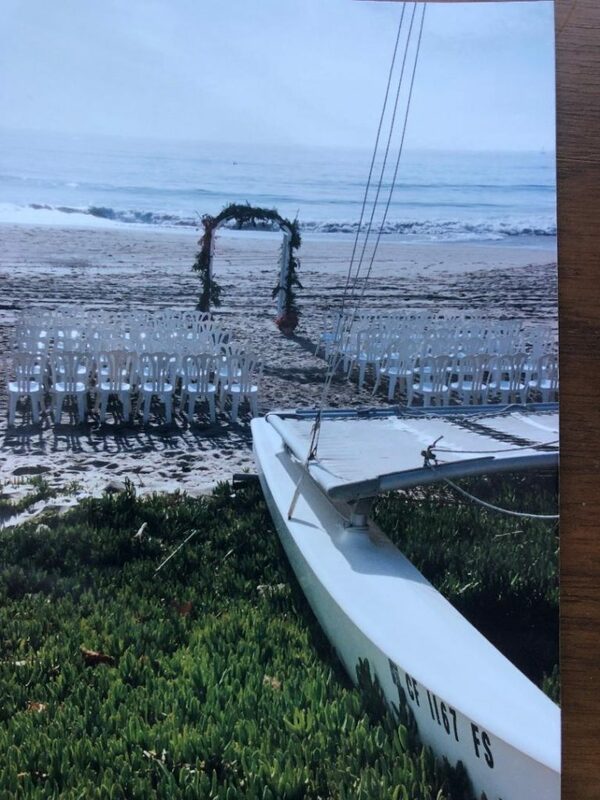 This year we’ll celebrate our 13th wedding anniversary with our 11 year old daughter and 8 year old son who love going to Crystal Cove Beach. It was one of those amazing Southern California December days, sunny and upper 60’s. The festivities began at Cottage #5 where my mom, Barbara Boatman, was hosting my engagement party. My fiancee Jeremy and I were preparing for 50 of our closes friends and family members to help us celebrate our engagement after 7 years of dating. As the party began we were giddy with anticipation, for we had a surprise for our guests. About an hour into the party we welcomed them with a speech. As we thanked them for all being there to help celebrate our news we took it a step further and invited them out to the beach to be a part of our wedding. This was no ordinary engagement party – it was a surprise wedding. As our guests walked to the beach in shock, I changed into my dress and my very soon to be husband his tux. The wedding march began and I walked out on to the beach, barefoot of course, and into wedded bliss. 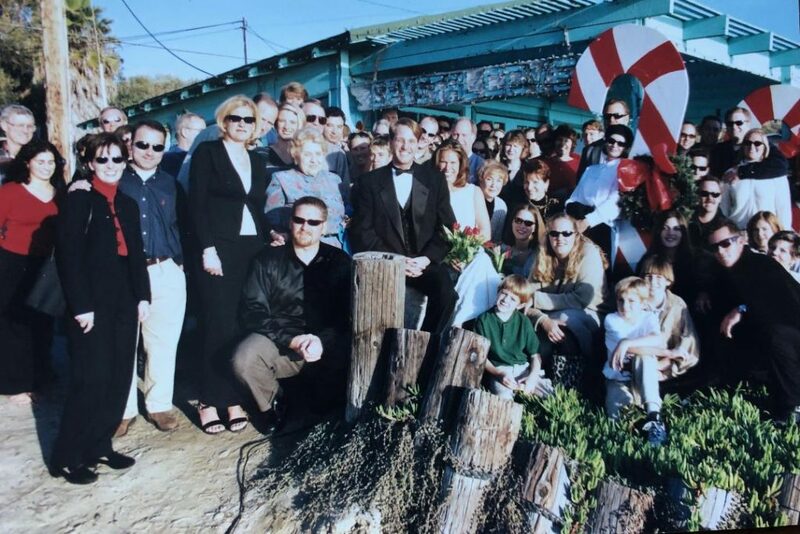 This past December 26 we celebrated our 20th wedding anniversary and every year we reminisce about our amazing wedding day at Crystal Cove. 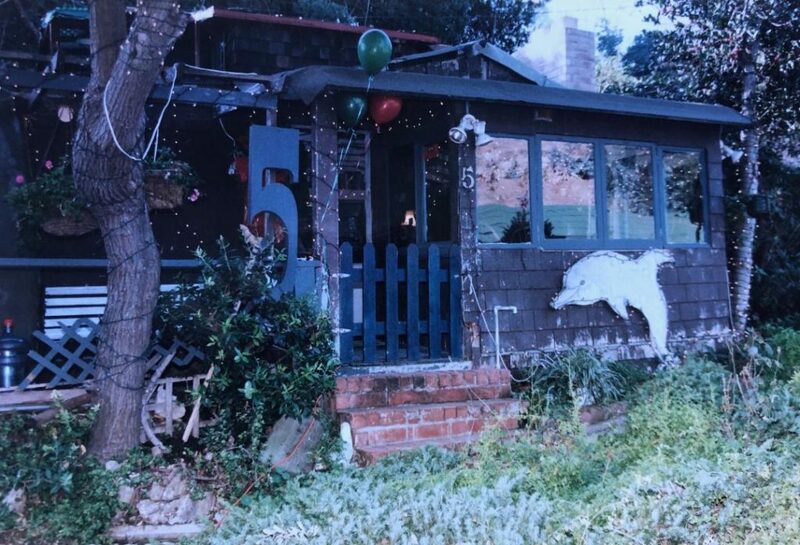 Crystal Cove always has and always will hold a special place in our hearts. My love story with Crystal Cove isn’t your conventional love story, it involves my uncle, my auntie, and my mom. 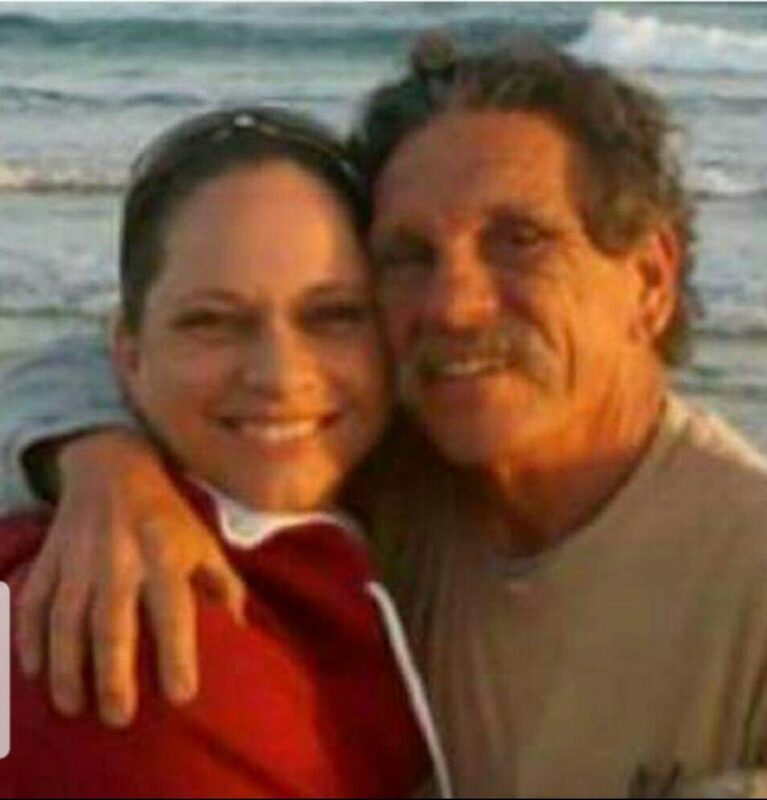 My uncle passed away in 2016, but before that, he was the typical beach guy. He fished on the piers, fished on the beaches, he was at the beach as much as he could, because that is where he felt most at home. As often as I can, my mom and I come home to visit, and we go to Crystal Cove to be close to him, to the ocean, and to the restaurant that made him and my family so happy. Crystal Cove is a special place for me, for my family and the love of one uncle who loved his family so much. 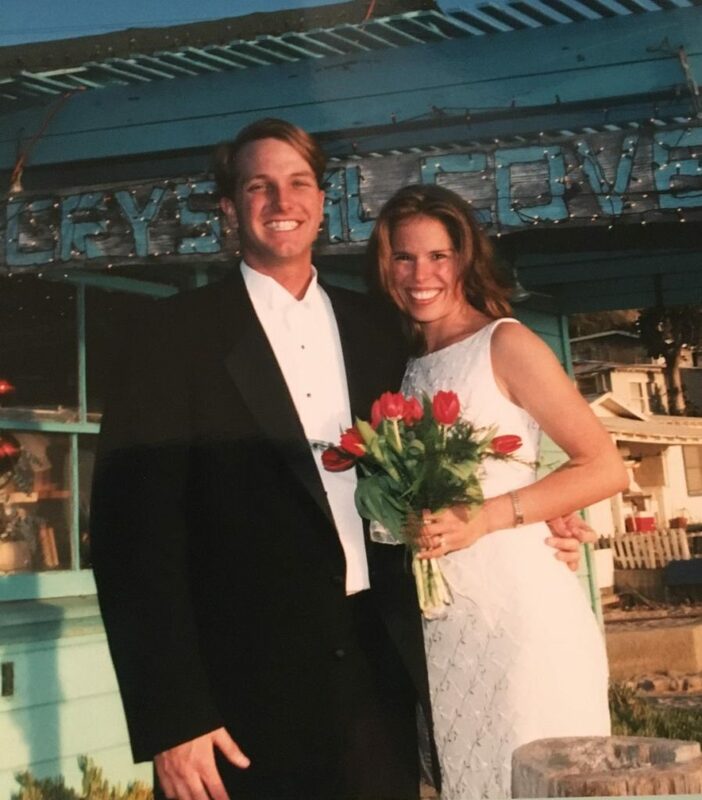 12 years ago my husband and I had the great honor of being married on the upper deck at Crystal Cove Cottages! I’m pretty sure we were one of the first full-on weddings that happened there. It was a magical day, exchanging our vows under a gorgeous blue sky as a pelican formation flew by overhead as if to share a blessing on us! In addition, the dolphins were playing and partying up in the ocean in celebration with us! The icing on the wedding cake was that we were fortunate to have reserved 3 nights in cottage #33, the Romantic Retreat, for the occasion! Every year we have returned to stay in a cottage on our anniversary to commemorate the beginning of our happy life together. It was Sunday, September 9th, 2018 when my new friend, David, planned a special outing to celebrate our one month anniversary of dating. We were so excited to have met each other. We got along instantly and were soon best friends. He picked me up in the early morning for church, and then surprised me with the notion that we were going somewhere special to celebrate our dating anniversary for lunch. He warned me that there might be a long wait where we were going. But, that wait was to our advantage in such a beautiful setting. We would get together every Sunday for church and then spend the rest of the day having “Sunday Funday” adventures. They both had a very romantic notion in their heart towards each other. He was gorgeous with a curly/wavy hair and a beautiful smile. He had such beautiful manners and his old fashioned values warmed my heart every time we spent the day together. When we arrived at the Crystal Cove Beachcomber Restaurant, there was a long wait, so we took off our shoes and walked delightedly though the sand, talking and enjoying the sunshine. David’s sparkling personality was really shining through as we held hands and walked through the edges of the waves. I could not stop smiling because my heart was overflowing with joy. We then sat down on the public benches next to the restored cottages in the shade. We had our arms around each other, enjoying a romantic kiss under the shady trees, when David told me how fond he is of me, and told me he wanted to become my boyfriend. I definitely wanted to be his girlfriend, too. I was glad we both wanted to be together. This date turned out to be one of the most influential days of our relationship. Right before it was time to sit down at our table, my feet were all sandy and I did not have anything to wipe them off with before putting my dress sandals back on. Dave knelt down on one knee and poured his drinking water on my feet and then proceeded to wipe them off using his sock. He then gently put my sandals on for me. I was so elated at his politeness and kind gestures. We were the luckiest couple in the restaurant that day. We sat right at the corner table with the most picturesque view. As soon as we sat down, the waitress gave us our menus and we ordered festive tropical drinks. Once the dust settled, Dave looked into my eyes, held both of my hands and told me “I love you” for the first time. Those special words changed the direction of our relationship. Of course, I told him that I loved him, too. One month later, a promise ring was given to symbolize our love and steps towards a future together. We have now been together about 1-1/2 years and would like to get married in the right time. We believe we are true love partners and God had answered out prayers to find our right person for each other. Each day we spend together is truly a gift, mostly due to Dave’s kind and loving heart. The Beachcomber will always have a special place in our hearts. We have even considered getting married there and having our reception on this romantic stretch of beach.